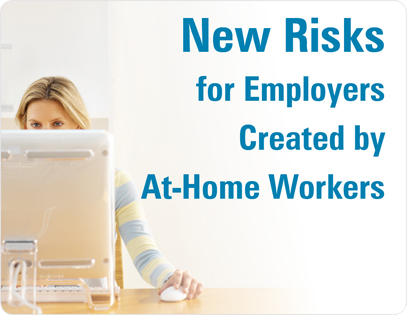 While allowing employees to work from home has added benefits for both the employee and the employer, there are workers compensation exposures related to at-home workers. As an employer, it is essential that you take a proactive approach to keep your employees safe and avoid potential liabilities. First, consider which candidates are best suited to work from home. Employees who have been with the company for a period of time long enough to prove their work ethic and trustworthiness are better candidates for at-home work than new employees. After approving an employee to work from home, assist in setting up their workspace to ensure a safe work area. Be sure to include an ergonomically-correct office arrangement. Once the workspace is set up, it is a good idea to take several photographs for proof that a safe area was established, should a workers compensation claim later arise. Provide a computer program for tracking time at work and time off. If a workers compensation claim is made, an accurate tracking of the employee’s actual work time will aid in determining if an incident actually occurred during working hours. To ensure your risk management is keeping pace with the changing trends in your workplace, contact your Leavitt Group insurance consultant. Employers who supply their employees with company cell phones, laptops, BlackBerries, iPads and other portable devices could be in for a surprise if an employee is injured while using the device when off site or off the clock. Insurance claims professionals say that claims made by workers who are injured, and the relation of the injury to their employment is unclear, are on the rise. The increasing use of mobile devices is challenging traditional notions of work-related injuries. A few decades ago, when an employee’s work environment was easily defined by a physical location and time period, compensability was more easily determined. 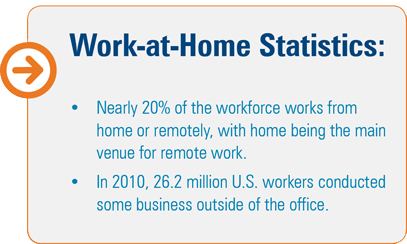 With mobile devices, people can, and increasingly do, work from many locations. Even if management does not encourage the behavior, they could still have some responsibility if it is happening, just as it might in harassment situations. 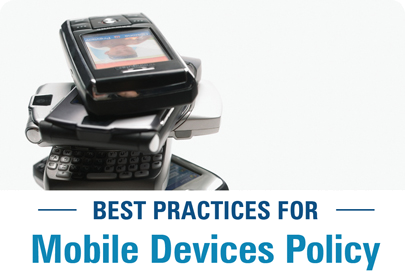 An employer can reduce the risk in offering these devices to employees by collaborating with their human resources department to establish a “best practices for mobile devices” policy. This policy should be communicated clearly and enforced with all employees. Mobile devices are not to be used while driving a moving vehicle or operating moving machinery, as such distractions can cause accidents and injuries. All messaging, including typing or reading text messages or e-mail while operating any vehicle (employer-owned, rented, or personal) when conducting company business is prohibited. Any violations of this policy will subject employees to disciplinary action, up to and including termination of employment. If you have questions about any of the coverages discussed in this article, please contact your Leavitt Group agent.